My grandmother, Judith Liebman, graduated from the University of Colorado in 1958 with a BA in Physics. She postponed attending graduate school to support my grandpa while he pursued his Ph.D. in environmental engineering. During this time, she worked as an engineer at Convair Astronautics and as a programmer at GE and the Cornell Chemistry Department. She later attended graduate school at The Johns Hopkins University and received her PhD in Operations Research and Industrial Engineering in 1971. From there she worked on the faculty in the Departments of Civil and Mechanical/Industrial Engineering at University of Illinois, and by 1978 was already the Head of the Industrial Systems Division. 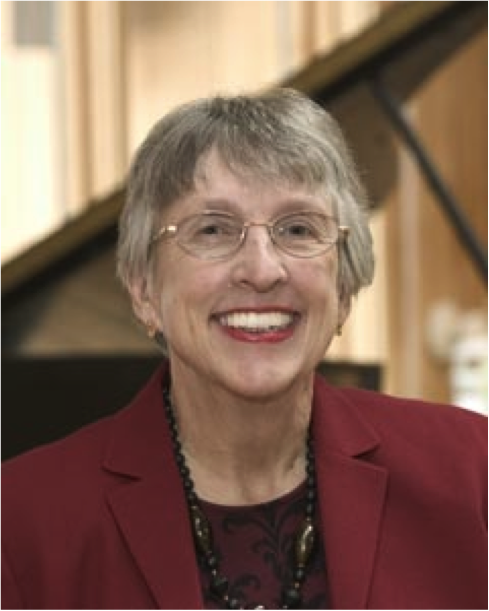 As a Full Professor, she served as Vice Chancellor for Research and Dean of The Graduate College and is now Professor Emerita. Why did I get into science and engineering? When I was a young girl, my mother discovered my interest in science and my Christmas and birthday presents were often science kits. I loved to read and one of the books she gave me was the biography of Marie Curie written by her daughter. Thus I could envision having a family and simultaneously being a scientist. When I was in my college senior year, the physics department hired me as a TA in the laboratory section of the physics course for non majors. That experience resulted in my wanting to become a college professor. I discovered operations research when my husband minored in it doing his PhD; he suggested I take a course in it which I did. I was immediately hooked. In physics one builds mathematical models of the physical world. In operations research we build mathematical models of human enterprises with the aim of improving them. This entry was posted in Chemistry, Operations Research. Bookmark the permalink. Thanks for this blog – so informative and refreshing!